Technically it’s now Spring, so I should begin sharing some nice light salad recipes. 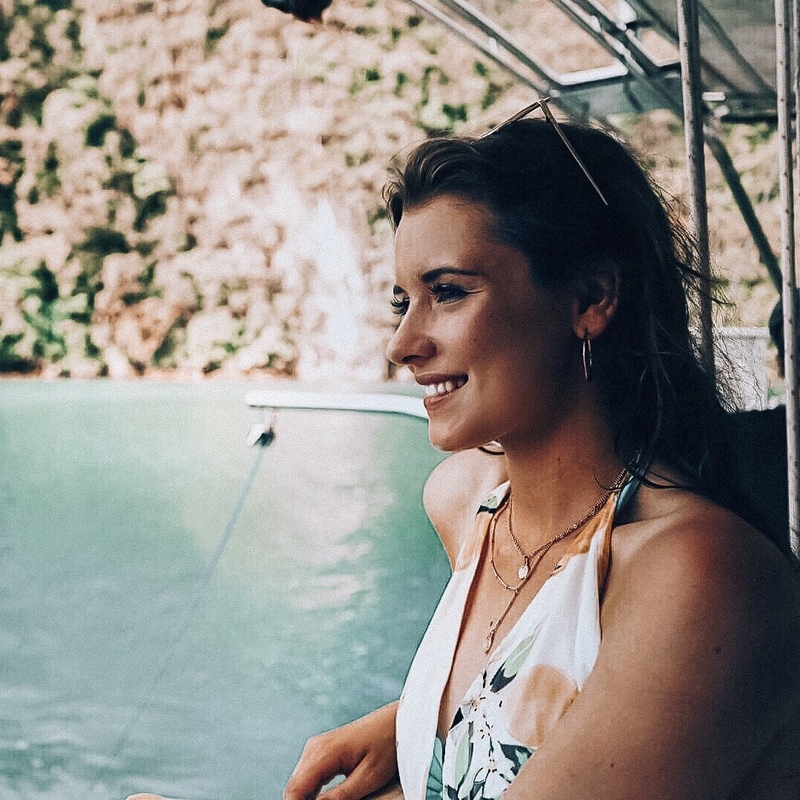 Really it’s time to start working on our summer bods and embracing the new season. Except it’s still cold and rainy. It’s super miserable outside and honestly the thought of a salad makes me want to cry a little bit. I don’t know about you but I’m sticking with the comfort food for the time being. The summer bod can wait. I love a good pasta dish as much as the next person. There’s something about those little carby pellets that makes me extremely happy. 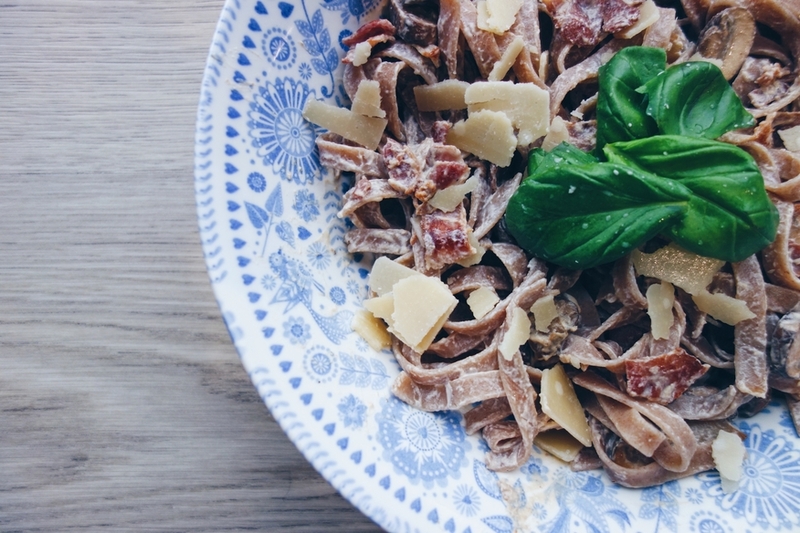 My latest discovery is a creamy tagliatelle recipe with bacon & mushrooms. It’s super easy to make; frankly you’d have to be a bit of an idiot to mess this one up. It’s quick, foolproof and exceedingly yummy. Comfort food at its best! Cook the tagliatelle in a pan of salted water as per the cooking instructions on the packet. 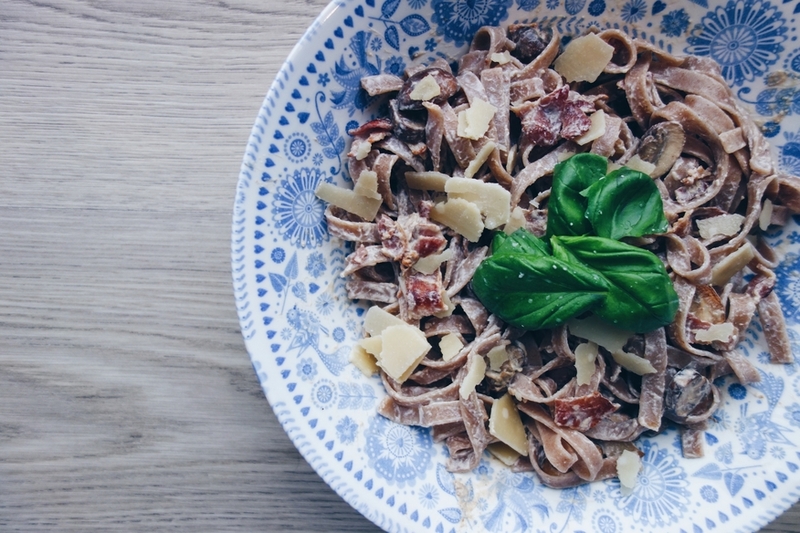 If you’re gluten free then I’d highly recommend La Terra E Il Cielo organic spelt tagliatelle – although admittedly I found this in a random shop in Tunbridge Wells and after a quick Google can’t seem to find it online. There’s this one by Schär but I haven’t personally tried it. While the pasta is cooking, chop up the bacon and fry in a pan – I often find it easier to chop the bacon after it has cooked. As the bacon is starting to crisp, add the mushrooms. Once the mushrooms are fried and the bacon beautifully crispy, add the cream to the pan. Season with a healthy amount of black pepper. Continue to stir until the sauce thickens. You may also want to add a drop of the starchy pasta water, as this can help thicken the consistency of the sauce. 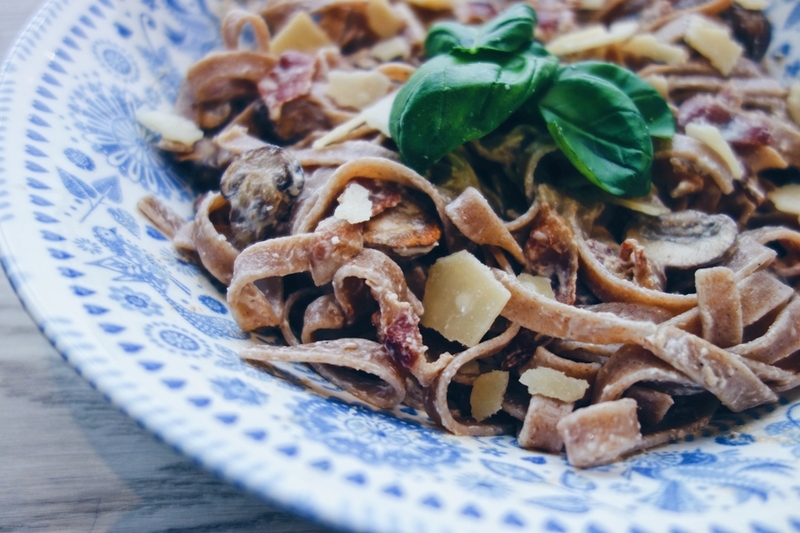 When happy with the consistency, add the creamy bacon-y mushroom-y heaven to the cooked pasta and stir through. Finish with fresh basil leaves and way too much parmesan cheese. 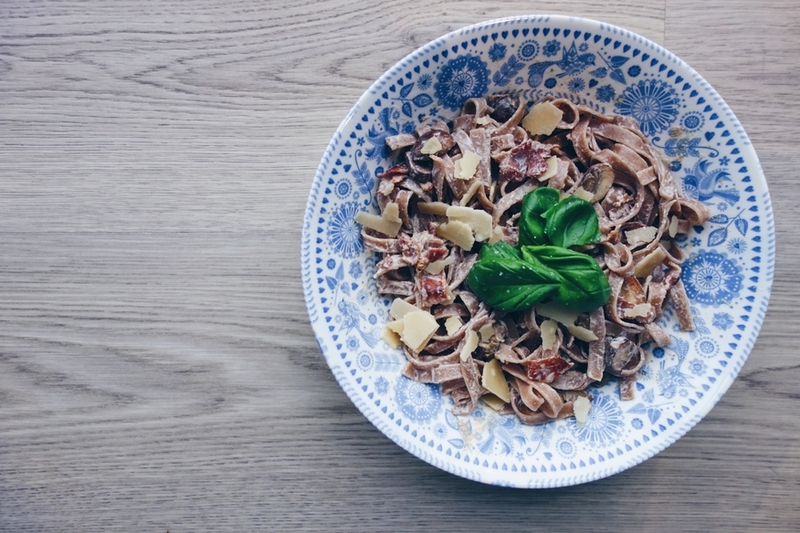 Do let me know if you try my creamy tagliatelle recipe and if you have any similar tasty pasta recipes. For more comfort food recipes, check out my colourful chicken tray bake or indulge in some gluten free chocolate brownies. Here’s to rebelling against the summer bod!